New Feature! Check it out! 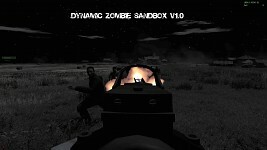 This is Dynamic Zombie Sandbox, a one of a kind mission for ArmA 2 (OA,CO,A2,A2 Free, and Take on Helicopters). 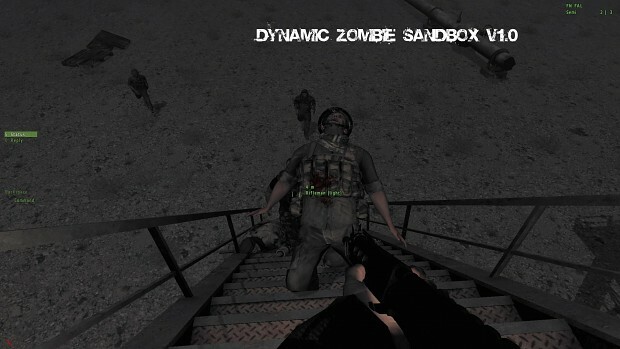 It started as an idea of a full map zombie survival mission, much like DayZ, but this came before DayZ. I wanted something that was different every time, that you could port to any map, and provided tons of fun. This is what I came up with. DZS has 36 parameters that the host can choose. 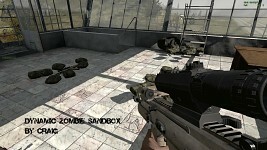 These allow you near endless customization of your zombie experience. You can play in the day, the night, the dusk,with fog, with rain, with clear skies, or make it a surprise. You can start with weapons, without weapons, with/without maps, with your friends, in the middle of nowhere. 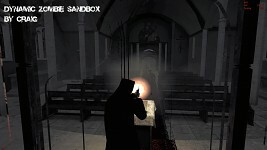 You can find weapons in buildings, in cars, and in ammo boxes. Loot can be plentiful, or extremely scarce. The mission can have hundreds of cars, or a scant few. Zombies can sense you from miles away or can be fairly stupid. The only limit is your server, and you don't even need a dedicated. This is an example of a few of the options available, and many more are on the way. 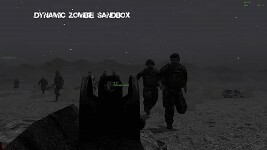 There is no question on whether this will be in ArmA 3, it will be added ASAP in the community alpha. I have big plans to add much more features to make the experience even better and more customizable. Installation? Easy. 1.5mb file goes into the MPmissions folder, or just join a server online. The file will be Downloaded automatically. DL is on the bottom. After quite a long time, I finally have 1.0 ready for release. This is the most complete, stable version of the mission that I have. It also most fulfills what I wanted to put into this mission back in Version .75. Many new features have been added and many, many fixes have been made. Also, I have already started work on 1.05. Making the mission more stable was one of the largest goals of 1.0. It still won't last forever on dedi, but it will last longer. Further improvements are in my head and will be added in 1.05. Bug #30359: Long trains of cars can be made! Bug #30362: Car/object list doesn't get updated on dedicated sometimes. Bug #35643: Start with no map and no weapons parameter sometimes doesn't work. Feature #32809: Make weapon finding script more efficient and with more features. Tonic - Told me to abandon construction, and made the new Loading screen, he also made the time sync correctly! 1. 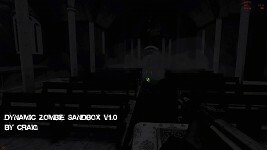 A2 version hasn't changed much, but I did add make it so weapons would spawn in vehicles, and a few bugfixes. The CO version is the main one I work on, and A2 lacks a lot of the scripting features of OA and CO, which makes it much harder to port the latest version over to it. 2. If you spawn with a weapon but cannot shoot, just press F.
Includes all the versions of 1.0. This is the most complete, comprehensive version to date. Link broken, and does it work with Invasion 1944? Zombies dont seem to be spawning anywhere except where i first spawned, is there something i need to do in the server config or something? There a way to get custom clothing into what we can pick to wear? 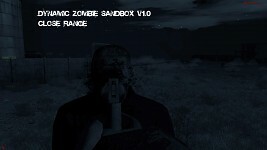 I love the Mod/Mission but I would LOVE if there were a SAVE OPTION, and that zombies don't run through the objects I put down. #endgame was so amazing, go see it!! !